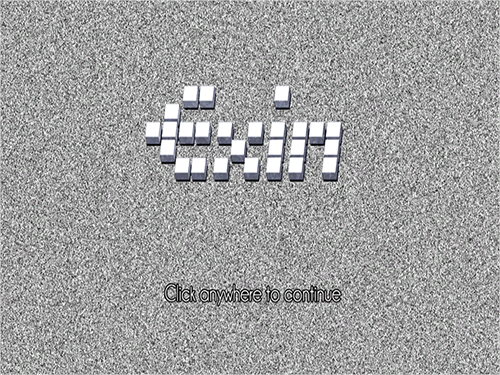 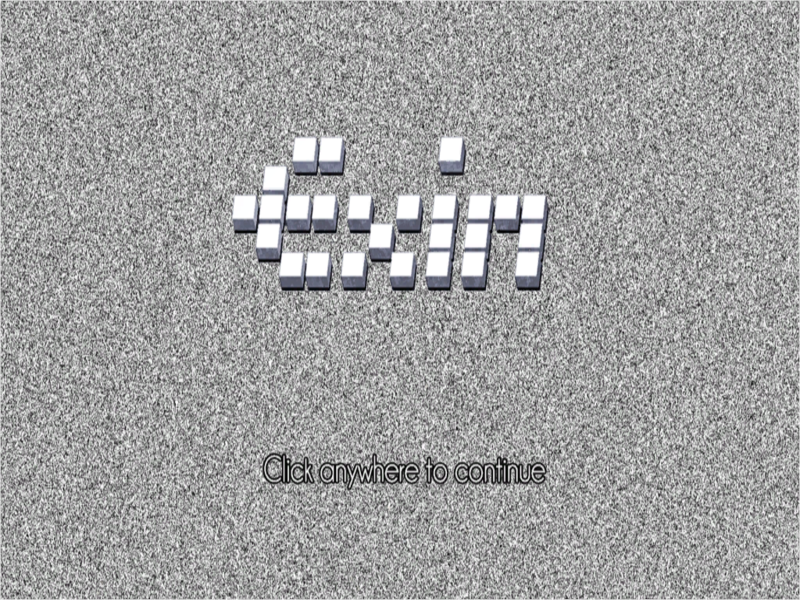 In this game inspired by Rubik's cube, the player must venture inside a digital maze made of nine rooms. 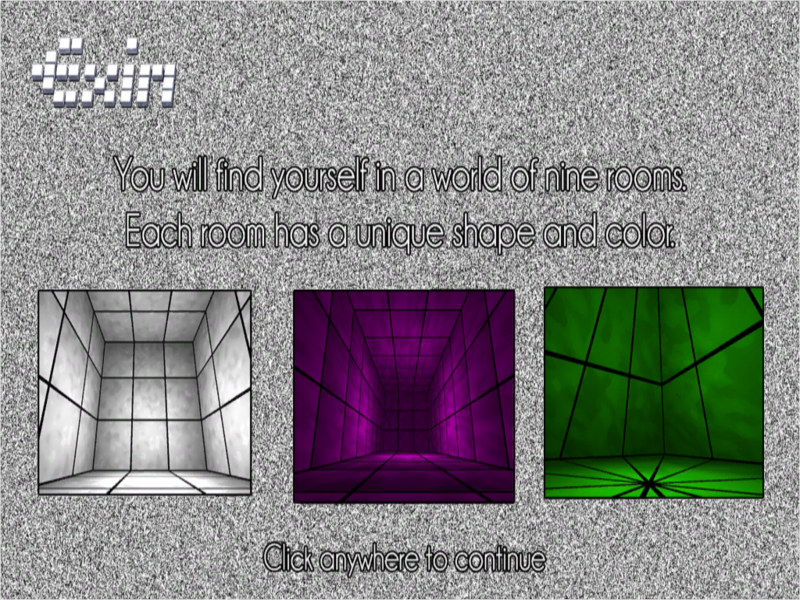 All rooms are defined by their own Shape and Color, and are connected to four other rooms. 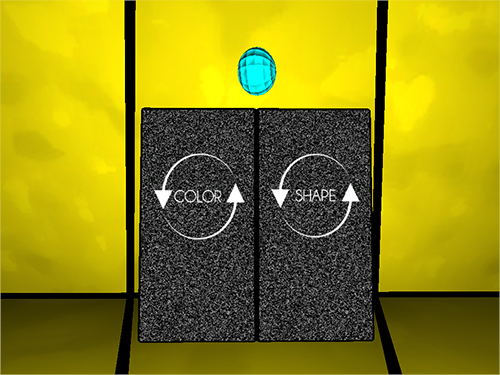 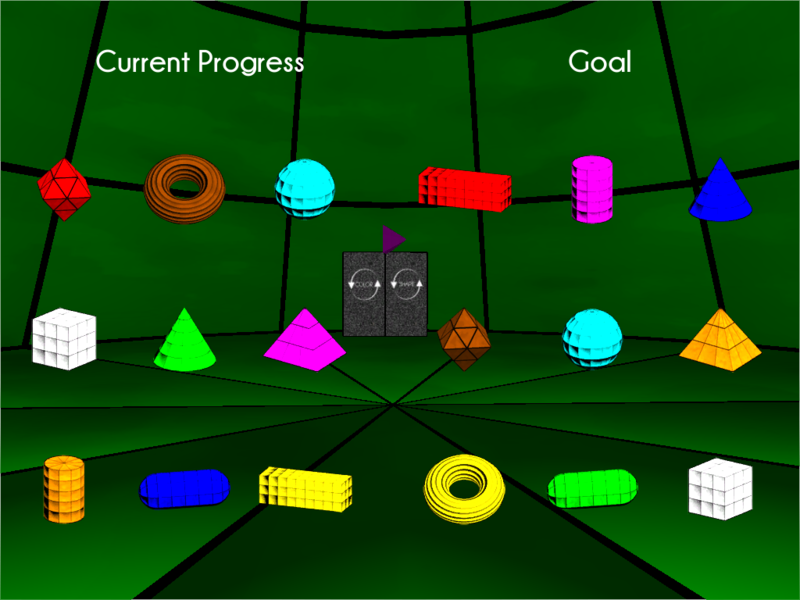 By crossing doors, the player can either swith the Shape or the Color of the connected rooms, and by doing so, must try to restructure the matrix to match the Goal.